This entry was posted in Social on July 15, 2011 by golinielcomblog. A memorial service and reception will be held at 4 p.m. Thursday, April 21, at St. Helen Catholic Church in Junction City for William Thomas â€œBillâ€ Hunt of Junction City, who died April 11 of age-related causes. He was 87. He was born Sept. 29, 1923, in Spiro, Okla. He married Marcella Sharp in the 1940s. They later divorced. He married Doris Dias in the 1940s. They later divorced. He married Ellen Welch in 1950. They later divorced. He remarried Doris in 1978 in Oklahoma. She died in 1995. He remarried Ellen in 1997 in Portland. He attended elementary school in Dos Palos, Calif. He served in the U.S. military during World War II with Pattonâ€™s Third Army and received five bronze stars. He worked as a plasterer and brick mason. Survivors include his wife; six daughters, Barbara Locati of Lebanon, Lydia Marlene and Diane Sheives, both of Stigler, Okla., Joy Bayer of Silverton, Terri Bayer of Arlington, Wash., and Toni Colvin of Aurora; a son, Tomie of Junction City; two brothers, Troy and Jimmy, both of Eugene; four sisters, Allene Batey-Regaldo of Chico, Calif., Eva Mayberry and Joanne Love, both of Eugene; and O.V. Evarts of Salem; 20 grandchildren; and numerous great-grandchildren. Inurnment will be at Willamette National Cemetery in Portland. Arrangements by Virgil T. Golden Funeral Service in Salem. 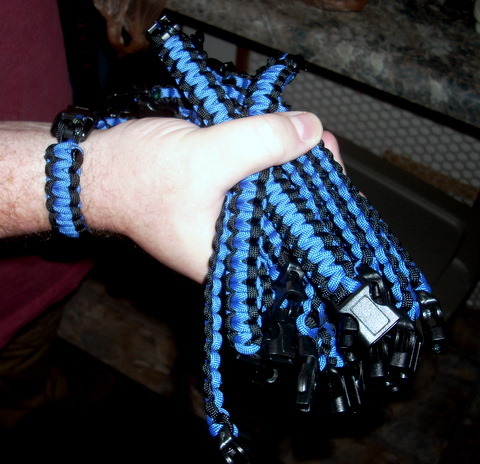 Remembrances may be sent to St. Vincent de Paulâ€™s Vet LIFT Program. This entry was posted in Social on April 20, 2011 by golinielcomblog. The Hollywood Panera BreadÂ in Northeast Portland will open Sunday as the company’s third “pay-as-you-can” nonprofit cafe in the nation, a spokeswoman said Tuesday. Today is the last day the 4143 Halsey StreetÂ restaurant will be run by the for-profit arm of the company. The cafe will close at the end of business this evening and remain closed through Saturday as the staff is retrained and the interior re-figured for the new system, said Panera spokeswoman Kate Antonacci. When the cafe reopens Jan. 16, it will be run by the non-profit Panera Bread Foundation and will be renamed a “Panera Cares Community Cafe.” The new restaurant will not feature menu prices or cash registers but “suggested” donation prices and donation bins instead. The restaurant chain’s foundation made a splash last year when it opened the first “pay-as-you-can” cafe in Clayton, Mo., outside St. Louis. A second opened in Dearborn, Mich. Outside economically battered Detroit in November. According to the foundation, 60 to 70 percent of the customers at the first two cafes pay in full. Another 15 percent pay more, and 15 percent less or nothing. “Panera has given it as a gift to the community and we hope they’ll sustain it,” Antonacci said Tuesday. And why the Hollywood neighborhood? Panera Bread Co. will open a nonprofit restaurant Monday in Portland where customers can pay what they wish for food. It’s the third “Panera Cares” community cafe for the company and its first West Coast location. Panera opened community cafes last year in Clayton, Mo., and Dearborn, Mich. The restaurants are owned and operated by a nonprofit arm of the national restaurant chain, which receives no profit from the business. So far, people have stepped up. Panera said about 20 percent of the visitors to the cafes leave more than the suggested amount, 20 percent leave less and 60 percent pay what is suggested. Those who are not able to pay anything do not have to, but the cafe suggests they volunteer their time in support of the organization. There are a number of other independent community kitchen formats already in existence around the country such as those in Denver and Salt Lake City. Panera, however, is one the first chain restaurants to make the leap. The company is converting an existing Panera restaurant in the Hollywood neighborhood into the community cafe format. Panera looked at a number of potential sites around the country but said that it felt the “sensibility” of Portland suited the project. The company also tries to place restaurants in economically diverse neighborhoods that can support the format. If there is excess revenue, Shaich said it will be reinvested in the community such as using the cafe as a work-training site for at-risk youth. “I think the people of Portland will do the right thing,” Shaich said. Shaich said he would like to open more community cafes but must see first if the existing sites prove self-sustainable. This entry was posted in Social on January 12, 2011 by golinielcomblog. This entry was posted in Social on November 10, 2010 by golinielcomblog. MacDONALD, ELEANOR ROPKE, 89, died peacefully on Friday, October 22, 2010. Eleanor was born in Louisville on June 20, 1921 to Mildred (Rapier) and Harry A. Ropke. As a teenager, Eleanor was a champion swimmer and enrolled at the University of Louisville after graduating from Loretto High School. During World War II, Eleanor worked as an aircraft inspector of bombers after they were fitted out in Louisville. Later, Eleanor became a Louisville Police Officer and won several Kentucky Peace Officer shooting competitions. She was also active in gardening and flower shows at the Audubon Country Club. Eleanor moved to Florida in 1962 where she made a living in real estate and pursued her passion by supporting veterans and civic organizations. She was a member of the Woman’s Club of Winter Park, the Winter Park and later Orlando chapters of the Daughters of the American Revolution (DAR) and of the Central Florida Veterans Inc. Eleanor committed thousands of hours of service to veterans and American Indian causes and, in 2003, received the National Veterans Volunteer in Extended Areas award from the DAR National Society in Washington, D.C. She attributed her interest in veterans’ affairs to her father who served in both World Wars and received the Navy Cross for valor. Eleanor is survived by her sister, Joan Ropke; sister-in-law, Anne Ropke; and cousin, Patricia Updegraf, all of Louisville. She leaves behind her daughter, Lynda and sons, George and Andrew, all of Florida; son, Richard, of Maine; four grandchildren and one great-grandchild. She requested any donations in her memory be given to the Heifer International Society or the Scholarship Fund of the Orlando Chapter of DAR. Care for the MacDonald family has been entrusted to the J.S. Pelkey Funeral Home of Kittery, ME. This entry was posted in Social on November 9, 2010 by golinielcomblog. Â Â Â Â Â Â Â Â Â Â The National Danish Performance Team (NDPT) will visit the historic Danish community of Junction City for a special engagement on Tuesday, November 30th at 7pm at the Junction City High School Gymnasium. Â Tickets for the show are $10 for adults, $5 for students and $1 for children 12 and under and are available at the door or in advance at Nielsens Appliance, Junction City High School, Select Plus Realty (541) 344-7775, or Toftemark & Olesen Company (541) 343-2152 in Eugene. Â Â Â Â Â Â Â Â Â Â The Junction City performance, one of only two appearances in Oregon,Â is sponsored by DariMart, Nielsen Appliance, Scandia Village, the Danish Brotherhood Lodge #348, and the Junction City School District. The Danish Team will lead fitness workshops with youth in Junction City Elementary, Middle and High Schools, Twin Oaks Elementary and provide a master class / demo at the University of Oregonâ€™s Dance Department on Nov 29th at 12noon in Gerlinger Hall. The UO Acrobatics and Tumbling Team will exchange skills with the Danish acrobats, and students of the Scandinavian Studies Program will meet their Danish counterparts for a day on the UO campus. Â Â Â Â Â Â Â Â Â Â â€œWe are thrilled to bring the National Danish Performance Team to Junction City and Eugene. Their show is breathtaking and world-classâ€, says NDPT U.S. coordinator Mia Hansen. Â Hansenâ€™s parents, Erik & Inge, first visited Junction City in 1947 on a tour with Flensted Jensenâ€™s Gymnastic Team, the predecessor of the current National Danish Performance Team. Inspired by her parents, Mia became a choreographer after achieving her Bachelorsâ€™ degree in Dance at the University of Oregon in 1981. Hansen reconnected with Danish Gymnastics in 2006 and has been assisting the Teams US Tours ever since. She serves on the Board of the Danish Immigrant Museum in Elk Horn, Iowa, the fiscal sponsor for the NDPT U.S. Tour. The Danish Gymnastics and Sports Associations www.dgi.dk is the umbrella organization promoting the NDPT 10 month world tour. Â Â Â Â Â Â Â Â Â Â Hansen is especially proud to bring the Danish Performance Team to her home state. Â The only other Oregon performance will be November 28th 2pm at Lakeridge High School in Lake Oswego. The Oregon visit is supported by Scandinavian Heritage Foundation and Vestas, the Danish wind energy company with North American headquarters in Portland. Â Â Â Â Â Â Â Â Â Â During the visit to Junction City & Eugene, the NDPT will offer workshops to school children and University students as part of their focus on physical fitness and healthy lifestyles. A workshop is planned Nov 29th at Twin Oaks Elementary School, on the invitation of Principal Larry Soberman. Twin Oaks will be one of a few lucky schools to receive a visit of the top level Danish gymnasts during their visit. Junction City Schools will be treated to a full day of workshops on Nov 30th and will host the public performance of Connections, an acrobatic, tumbling, dance and gymnastics show, at 7pm in the Junction City High School gymnasium. Jill Case, Junction City School District Public Information, is thrilled to bring the Danish Team to the students and community in Junction City. â€œItâ€™s a once in a lifetime opportunity for our students,â€ said Case. Â Â Â Â Â Â Â Â Â As ambassador of healthy living, NDPT is proud to share the message of The Presidentâ€™s Council on Fitness, Sports & Nutrition and First Lady Mrs. Obamaâ€™s Lets Move campaign to combat childhood and adult obesity. The Presidents Council and Lets Move recognize and endorse the important message on healthy living and an active lifestyle promoted by NDPT. This entry was posted in Social on November 8, 2010 by golinielcomblog. 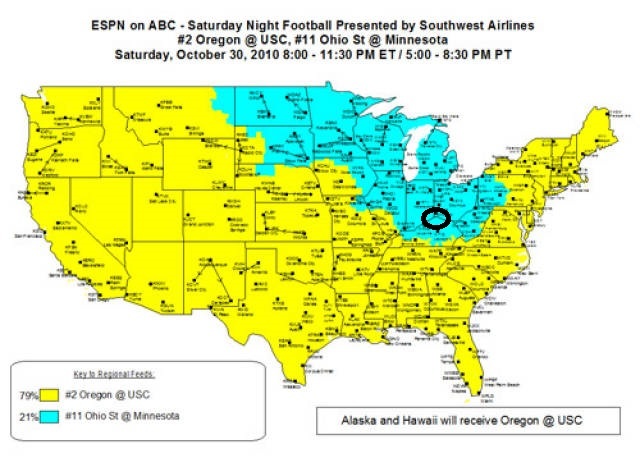 U of O/USC game will be visible MOST everywhere. My Alma mater the University of Oregon, College Footballs #1 team in the nation has a big game with the USC Trojans on Saturday.Â This map show the extensive nation wide coverage for the game.Â All the people in the yellow get to see that game.Â This weekend we are travelling. That circleÂ is where we will be.Â Hmmm, that is not a yellow area…….. This entry was posted in Social on October 28, 2010 by golinielcomblog. This article was taken from the Seattle PI Blogs. In sentencing the Selah man who made a series of threats to Sen. Patty Murray, U.S. District Court Judge John C. Coughenour read a lengthy statement written by one of his law clerks, Colin George. Before reading the statement, the federal judge noted that he’d asked his clerks to write down what they would tell Charles Alan Wilson when he was sentenced for leaving a string of explicit threats with Murray’s office. Wilson later told the court he was afraid the health reforms pushed by President Obama and supported by MurrayÂ reforms derided on the right as being an overreach by the federal governmentÂ would cut into the disability benefits he was receiving. Introducing George’s statement, Coughenour, a Reagan appointee who presided over the Ahmed Ressam terrorism trial, offered that he couldn’t express his concern better than his clerk. Mr. Wilson, I have no doubt in my mind that you are passionate about your country. That you respect the constitution. And that when you made those phone calls about what you perceived to be the dangers of health care reform, you thought you were standing up for what you believed to be American ideals. But I want to remind you about one of the most important American ideals of all. The presidential election of 1800 was the first time in the history of this planet that power was transferred from one political faction or party to another without bloodshed. Power had transferred between political allies peacefully before, but between enemies, the only transfers had occurred with the help of swords and guns. The American system changed all that. The very foundation of our system of laws and government, and the promise of democracy is that political change is accomplished through reasoned debate, through persuasion, and through voting. And we have a word for people who try to effect political change through violence and threats of violence. Just this week, a commentator on one of the major news networks said, and I quote, “Not all Muslims are terrorists, but all terrorists are Muslims.” This is about as ignorant, hateful, and bigoted a statement as I can imagine. Terrorism is not a religion. Terrorism is not an ethnicity. Terrorism is not a color. Terrorism is replacing peaceful political participation with violence. At the same time, Mr. Wilson, ending terrorism is not a crusade. It’s not a clash of civilizations. It should not be an unending war, and it should not be an excuse to limit anyone’s freedom, American or not. Ending terrorism requires a commitment to the elimination of violence, coercion, and threats from political life. And when I hear people in the media who proclaim on one hand to be supporters of the “war on terror,” while on the other hand stirring up the kind of violent outrage against our elected leaders that you felt, well it makes me think that we have lost our way. And it makes me think we have the wrong defendant here today. You lost your way, Mr. Wilson. And you let the urge for violence overcome your commitment to reason. And when you did so, you did not just break the law, you betrayed the values about which you are so passionate. Mr. Wilson, I believe that you are sincerely sorry for what your actions. And I doubt I will ever see you in my Court again. But as serious as our commitment to peaceful political change is, so must be the punishment for those who seek to effect change through threats and violence. This entry was posted in Social on October 25, 2010 by golinielcomblog.